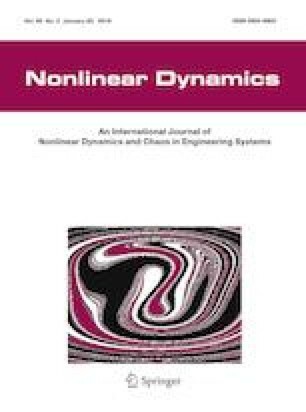 This paper proposed a unified energy-based control framework for fast, stable, and precision deployment of underactuated TSS. The tension controller with partial state feedback is derived from an artificial potential energy function and a dissipative function, where the control objectives and requirements are transformed into the necessary and sufficient conditions for these functions. The feedback law can be either linear or nonlinear, depending on the construction of the artificial potential energy function and the dissipative function. The controllability of the underactuated TSS is proved which is the original contribution of this work. The energy-based tension control is proved asymptotically stable by the Lyapunov technique and LaSalle’s invariance principle. Furthermore, the constraints on positive tension and nonnegative tether deploy velocity are incorporated into the energy-based tension controller by control gain optimization using optimal control. Four controllers are developed based on the proposed control framework to demonstrate the effectiveness and robustness of the proposed energy-based framework using numerical simulation. This work is supported by the Discovery Grant (RGPIN-2018-05991) of the Natural Sciences and Engineering Research Council of Canada (NSERC) and the FAST Grant of Canadian Space Agency. A1. The horizontal equilibrium states \((y_1 ,y_2 ,y_3 ,y_4 ,y_5 ) =(c_1^h ,0,0,1,0)\) and \((y_1 ,y_2 ,y_3 ,y_4 ,y_5 )=(c_1^h ,0,0, -1,0)\) are unstable. A2: The vertical equilibrium states \((y_1 ,y_2 ,y_3 ,y_4 ,y_5 ) =(c_1^v ,0,1,0,0)\) and \((y_1 ,y_2 ,y_3 ,y_4 ,y_5 )=(c_1^v ,0,-1,0,0)\) are stable.